A Mayoral Reception was held in Cahir on Thursday evening last to welcome the Scarborough Twin Town Guests. 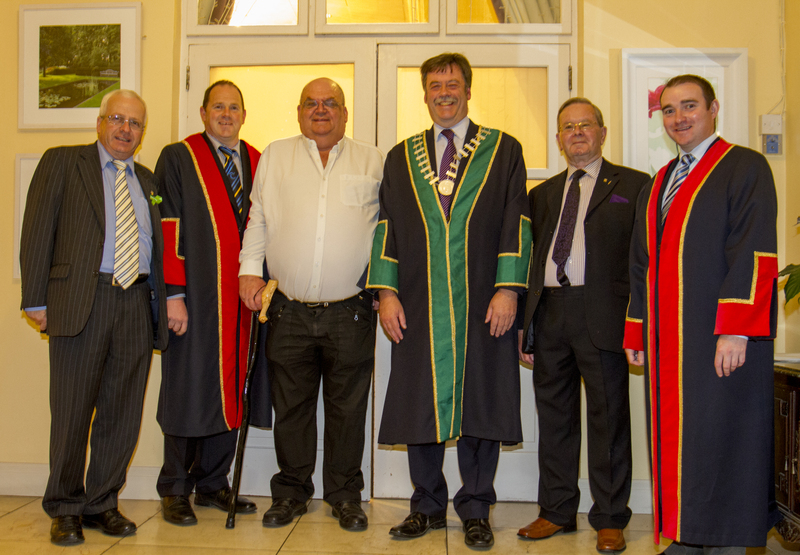 The Mayor of the Clonmel Borough District, Mr Pat English welcomed the visitors and added that their attendance in the town over the week was very noticeable in many establishments. He paid tribute to Tim Shanahan and John Quirke for organising trips over the years. Fellow Councillor and Deputy Mayor Andy Moloney also concurred with the Mayor and said that his association with Scarborough goes back as far as 1994 when Dan Costigan organised a trip to the Fair which was coordinated in the Yorkshire Town by another Cahir woman, Patricia Fox. He welcomed back to Cahir the usual suspects and thanked the Cahir people who travelled over and back for keeping the association alive. What turned out to be an exhibition of Hurling and Football at an Irish Festival turned into a lifetime of friendships between both sides. Former Mayor Martin Lonergan also echoed these sentiments. Mike Manning accepted a presentation from the Mayor on behalf of the visiting group and thanked his loyal band of travellers who come back year after year. The Chairman of Cahir Twinning offered votes of sympathy to the Stuart, Love and Shanahan families who suffered family losses since the last visit. Others to speak at the function were Dan Costigan who worked in Scarborough in his early years and was known to Scarborough as the Mayor of Cahir. Deputy Mattie McGrath was also present to welcome the visitors. The reception ended with Cllr Moloney thanking the Mayor for moving his office to Cahir to facilitate the visitors schedule.